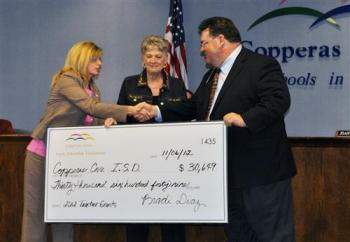 The Copperas Cove Independent School District serves the educational needs of over 8,200 students from the cities of Copperas Cove and Fort Hood, Texas. We take great pride not only in the level of education we are able to provide our students, but also of the support of our surrounding communities. Our community's active participation in the education process is clear and consistent. Please use the links to the left to explore the positive relationship between Copperas Cove ISD and the community.